The Lush Chrome Stool in brown is classic and lavish, with a simple design that works wonders to produce a remarkable looking stool. Mixing luxurious and contemporary style with incredible ease, the Lush is well suited to both modern and traditional spaces. Your attention is captured by the horizontal stitching segments within the seat that adds to its beauty and with the copious degree of padding within the seat the Lush exclaims comfort. Present with a backrest the Lush allows you to sit back and melt into the padding to truly unwind. The seat is finished in supple brown faux leather adding that softer touch to the seat. Cast in chrome, the frame provides the stool with stability and complements the brown faux leather perfectly to add character. With 360 degree swivel, variable height via the gas lift mechanism and a protective rubber sole on the base the Lush is also practical for your use anywhere around the home. 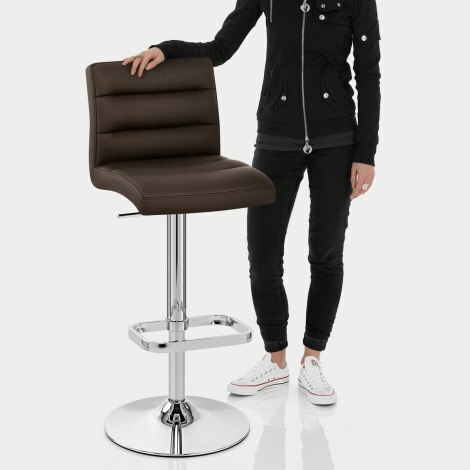 "Easy to assemble, great price and they feel like luxury"
Really happy with the stool and the aftercare from Atlantic shopping. Highly recommend. 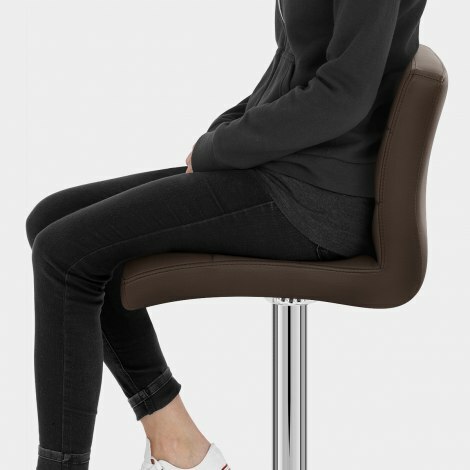 Having only found a limited choice of bar stools in a c.30 mile radius, of which the only ones we liked were high cost, I found the Atlantic Shopping site on-line. We decided to take the 160 mile round trip to visit the showroom, following which, we would eat out at one of the local to, central Birmingham restaurants. The showroom was excellent with lots of choice. The staff plus owner was very helpful and never pushy. 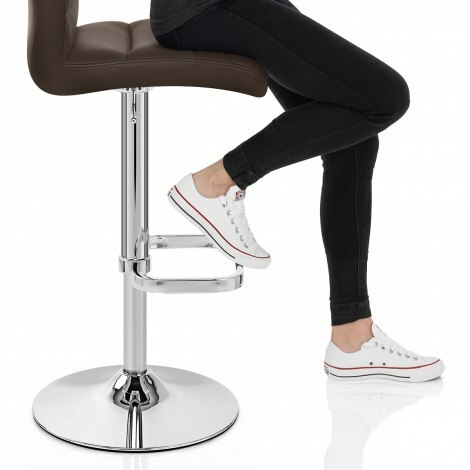 We purchased 4x bar stools, at a very competitive price, representing great value. We were unable to fit the stools in the car, but the company arranged delivery first thing Monday morning as we requested (stools purchased Saturday at 4.30pm) and they arrived on time as promised. I easily assembled the stools and they look great. I would and have, highly recommended the company to family and friends. Love our new chairs fantastic service we will definitely be recommending you to our friends and family. Having been told of your site by a friend so glad I found you Family all happy with stability, look and comfort. Delighted with product and service - thank you.